Nearly five years ago, Overstock.com became the first major retailer to accept bitcoin as a form of payment. It now accepts many top cryptocurrencies. As a member of the senior executive team and board of directors at Overstock.com, I had a front-row seat to those decisions. It didn’t take long for the Overstock team to realize that bitcoin’s underlying blockchain technology held great promise beyond cryptocurrencies. We also knew that for blockchain technology to reach its full potential, the startup companies advancing its use would need both financial and human capital support. Overstock set up a venture capital blockchain incubator, Medici Ventures, to do just that. We believe blockchain technology will eventually impact many industries. We are already involved in promising developments in areas like capital markets, money transmission and banking, voting, supply chain, property and self-sovereign identity. But there is still a long way to go before blockchain technology can realize its true potential. Here are the three most important challenges facing more widespread adoption of blockchain technology right now. The world has become so reliant on computers, to the point where virtually every company now has need for software development. In this environment, where demand grows exponentially, good software development talent is hard to find. Game-changing talent is rarer still. Because blockchain is a new field of technology, there are fewer talented enterprise-level software developers who understand it well. Those who do can practically write their own tickets. While this is an enviable position for them, it limits many companies from developing engaging and transformative blockchain-based applications. Let’s remember that we are in the early days of blockchain. At Medici Ventures, we provide regular internal training to help our software developers climb this important learning curve. In this training — which we do in educational presentations which sometimes include accelerated coursework — our teams often present discoveries made when developing on one project, with the hope that the solutions may benefit those working on other projects. This approach lets us cross-pollinate our industries and our disciplines, so creative development and innovation become rising tides rather than isolated spikes. The time spent learning is well worth it; it is why many of our portfolio companies rely not just on our venture capital, but also our human capital. Until there is a regular pipeline of well-qualified blockchain developers, the shortage of great talent will continue to be a struggle for the advancement of the technology. Like many of their voting constituents, Congress and state legislatures are just becoming aware of blockchain. In some ways, this is good news: Political engagement will increase awareness and interest for utilizing blockchain technology and help drive adoption of these new ideas. Unfortunately, it also brings the temptation of regulation to an emerging market. I get concerned when regulators and legislators get a whiff of any kind of technological development because they are tempted to regulate it. When U.S. Securities and Exchange Commission (SEC) chair Jay Clayton stated that he considered all initial coin offerings (ICOs) to be securities rather than commodities, and therefore subject to his organization’s regulation, Clayton brought an ICO boom to a screeching halt. While Chairman Clayton and others at the SEC have subsequently modified that stance, this regulatory tendency to fear what is new is dangerous. The interconnectedness of the world means its adoption will probably take root and bloom quickly. Technology — and the advancement of blockchain — should not be regulated. In the 1990s, when the internet’s potential was becoming evident, legislators opted not to regulate it. That bipartisan decision led to the open-market creation of the much-lauded “information superhighway” and the power of the internet today. Certainly, there will be use cases that may require regulation as blockchain applications develop and proliferate. But the growth of blockchain technology will be best nurtured when it is free and unfettered from regulation. Cryptocurrencies and digital wallets built on blockchain are great uses of the technology. In order for cryptocurrencies to proliferate in use and stabilize in price, and for digital wallets to get widespread adoption, consumers need to spend cryptocurrencies more and merchants need to accept them. A great example of this working the right way is Colu, an exciting new company I recently saw in action when I was in Tel Aviv, Israel. Colu is a digital wallet that uses blockchain technology to create local currencies. People simply download the app, add money and shop locally. The app highlights local establishments and makes shopping convenient. And it is dazzling people in Tel Aviv! The same can be said of other blockchain-based applications like secure remote digital voting. West Virginia recently became the first state to allow overseas citizens to vote remotely using a blockchain-driven app. The West Virginia program was tested in the May primary and was used in this November’s general election. We’ll know blockchain technology has become mainstream when we are no longer talking about it. Some critics have been quick to disparage real efforts to create digital voting with strictly theoretical worries. In reality, the rollout in West Virginia is a very focused solution to a specific issue: low overseas voter participation. The current system is broken. A blockchain-driven digital voting app is a clear solution. Anyone but critics of progress should eagerly support West Virginia’s efforts until there is an actual reason to worry. Once any blockchain application is embraced in sufficient numbers by both the using and accepting sides, the impressive software will become an invaluable and ubiquitous tool. More widespread adoption of blockchain’s most beneficial use cases will trigger network effects that will multiply the benefits. Let’s remember that we are in the early days of blockchain. 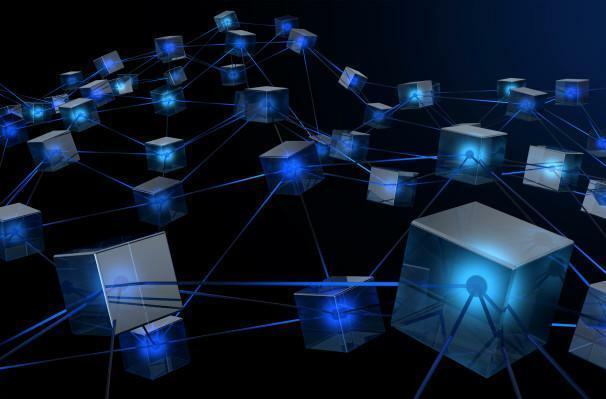 Many industry observers seem to be in a rush to declare blockchain a mainstream technology. As enthusiastic as I am in my support of blockchain, I would not yet call it mainstream. The interconnectedness of the world means its adoption will probably take root and bloom quickly. We’ll know blockchain technology has become mainstream when we are no longer talking about it, but we are simply using it in everyday ways. I am thrilled to see digital purchases made and remote votes cast in elections with this game-changing technology. As developers, investors and companies continue to focus on using and advancing blockchain, we will see that finding good enterprise-level blockchain software developers, letting blockchain grow free from unnecessary regulation and achieving critical mass use are the next important steps in the growth and adoption of this world-changing technology.